With the nice weather around the corner, I bet you are looking for easy picnic lunch ideas? Butterball Turkey Breast roast wraps got you covered! It is easy, healthy and delicious! The whole family will love it, even your pickiest eater. As much as I love picnic I do not like preparing fancy picnic lunch. I usually go with easy sandwiches, drinks and some healthy snacks! Last year, I wasn’t creative enough for our picnic lunches. I went always with the same sort of bread, same sort of spread and meat. This year, thanks to Butterball, I got more inspiration. In preparation for our upcoming picnics, I wanted to try the wrap breads. For this recipe, I went with a Wrap, Butterball Turkey Breasts cooked and Avocado! I was a bit nervous because Avocado can turn black, but I added enough citrus to keep its original color! 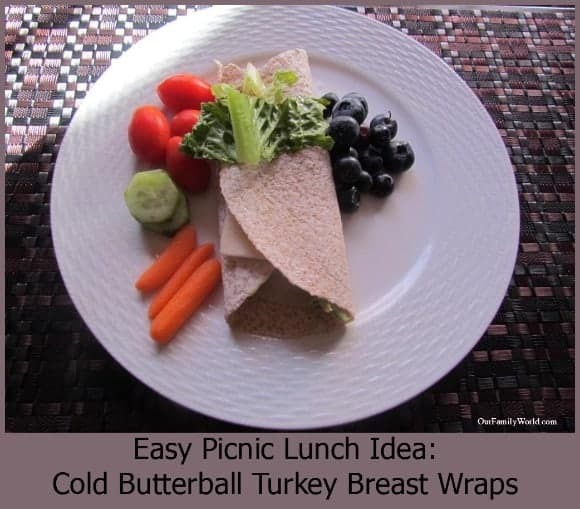 Cold Butterball Turkey Breast wraps: Perfect and easy picnic lunch idea! Cheese: I went with Swiss Cheese for the first wrap and goat cheese for the second one. 1 Avocado sliced! Slicing an avocado can be messy. I usually cut it lengthwise and spoon it! Spread the avocado spread on the wrap. 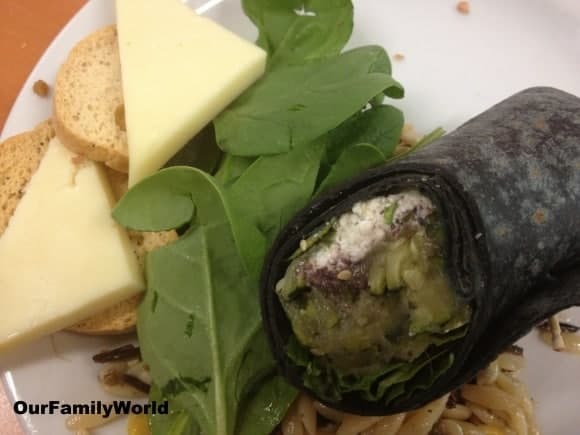 For the whole grain wrap, I served with Blueberries, baby carrots, tomato and lettuce! For the spinach wrap, I served with spinach and sliced cheese. Cold butterball turkey breast made with healthy spinach wraps. Result of this easy picnic lunch idea: Delicious!! The kids and I enjoyed every bite. I even prepared extra for my son’s lunch! I stored them in my Tupperware container and refrigerate them. The next day, they were as fresh as we made them (according to my son). I will definitely make them for our next picnic lunch. It is easy, healthy and delicious! Need another great easy picnic lunch idea? Check out our Baguette Sandwich with Butterball Turkey Bacon! 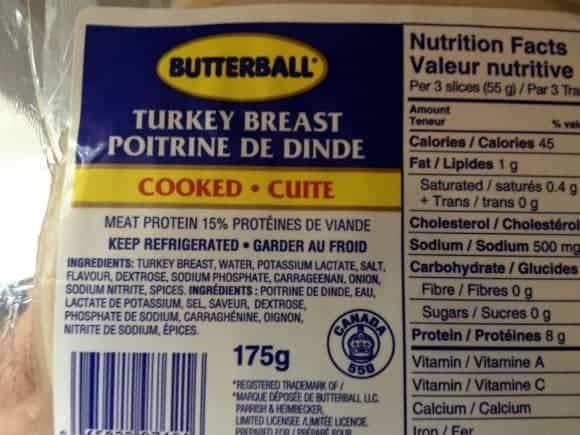 For those who want to learn more about Butterball Canada, visit their website! They feature easy healthy recipes, product listing as well as top ten questions about Turkey: how to roast a turkey, how to handle it! Be sure to check it! I love wraps. They are simple to make and I can throw in all kinds of meat and veggies with no guilt. Thanks for this new recipe! Love this post! I too make great snack wraps with Butterball meat and i really like adding it to my salads. So good! This would make a great addition to the healthier meal choices my husband and I are trying. I like the idea of simplicity and the wrap is perfect! I’m not a huge wrap fan usually but these look really easy to make and would be a great option this summer! Now that looks heavenly! We love to use butterball turkey breast. It’s always a good price and tastes great. We’ll have to try this wrap for our next picnic! I love adding lunch meat to my salads, I need to pick up some Butterball! 🙂 Your wraps look delicious! Yum! We have some butterball meat in our fridge right now. Will have to try this! That looks delicious! And such an easy meal! And healthy too! That is so key! This seems like a perfect lunch for those hot days where you don’t want to heat up the kitchen by leaving the stove or oven on!